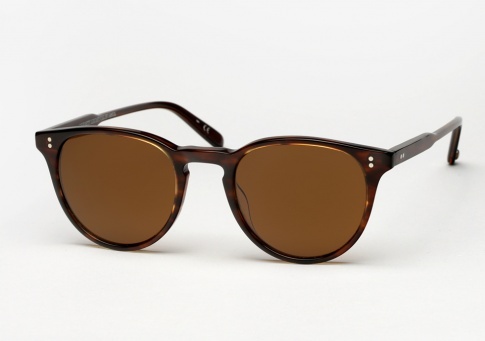 Garrett Leight Milwood - Brandy Tortoise Need Help? The Garrett Leight Milwood is a refined unisex sunglass that’s extremely versatile, with its understated style. We find it is flattering to almost everyone that tries it on. For those familiar with Garrett Leight’s Hampton and Kinney models, the Milwood fits somewhere in between. It is offered here in "Brandy Tortoise" paired with polarized brown glass lenses.